JDC - Archives : Young refugees in class in the Cyprus detention camps. Search > Search Results > Young refugees in class in the Cyprus detention camps. Title Young refugees in class in the Cyprus detention camps. 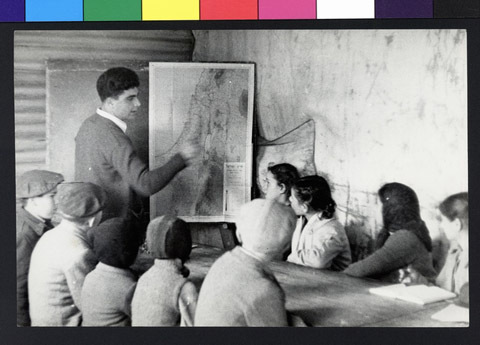 Description Young refugees in class in the Cyprus detention camps are being taught geography of Israel. JDC provided refugees with supplementary food and clothing, as well as educational and medical facilities.